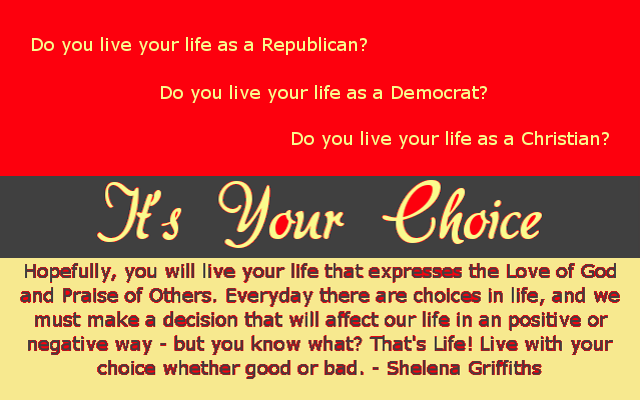 Do you live your life as a Republican? Do you live your life as a Democrat? Do you live as a Christian? Hopefully you will live your life that expresses the Love of God and Praise of Others. Everyday there are choices in life, and we must make a decision that will affect our life in an positive or negative way – but you know what? That’s Life! Live with your choice whether good or bad. Want to know about praise and worship freebies as soon as I post them? Subscribe to My Blog!